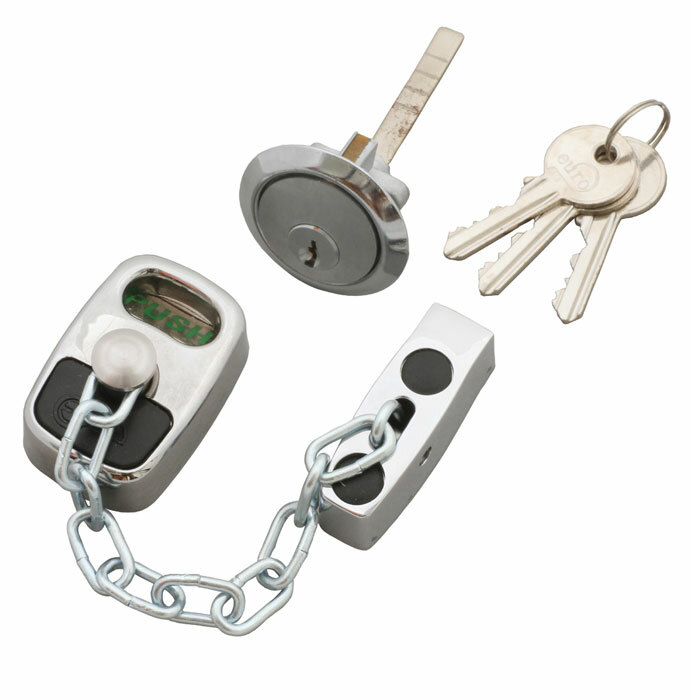 A completely unique style of door chain, ERICA can be fitted in the same position on a door as a conventional chain. 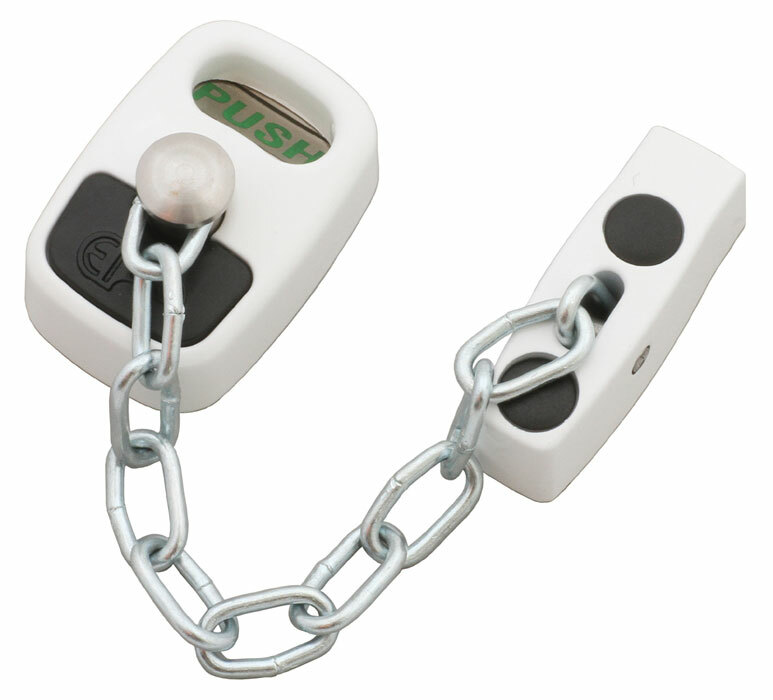 The chain body engages with a standard rim cylinder on the outside of the door, thus enabling the chain to be disengaged with a key from outside in emergencies. 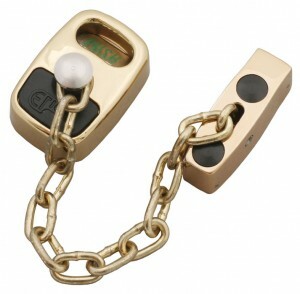 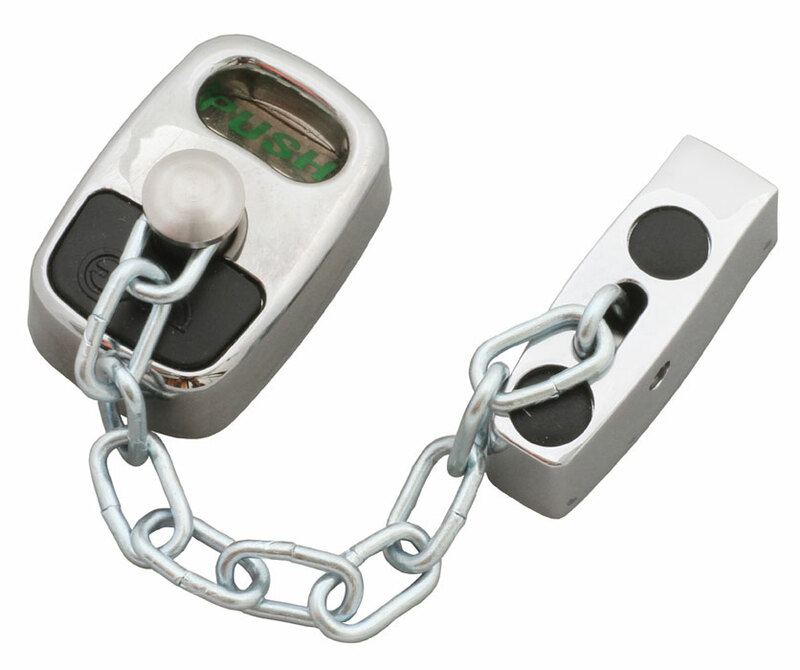 Where night latches are used, the same key could be used on both chain and lock.